Hunger: The Politics of Food, a conference hosted by the Human Rights Institute, closed out this year's Unity Week. Unity Week began with the Unity Week Kickoff March 18 on the Miron Student Center (MSC) Patio. At the kickoff, students were able to visit various tables set up throughout the patio where they could participate in activities and win prizes with the theme of unity and inclusion. Additionally, students were given the chance to sample a diverse assortment of foods in order to experience cultures different from their own. The Student Organization Class of 2021 hosted a Pop-Up Breakfast March 20 in the Green Lane Parking Lot. 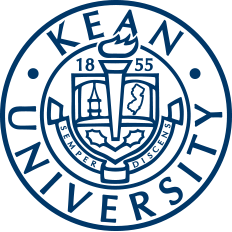 Apart from serving students an expansive meal with plenty of options, this breakfast was the Student Organization’s attempt to give back to the Kean community as well as their effort to give students a way to meet and interact. The Women and Gender Studies Distinguished Faculty Lecture took place March 20 in MSC, Room 226. Officially titled “Joan of Arc: History and Legend” and taught by history professor Christopher Bellitto, Ph.D., this lecture gave attendees the history of this woman who defied the gender expectations of her time period and went on to become a French war heroine, a martyr for her beliefs and the patron saint of soldiers. Hosted by the Alcohol, Tobacco and other Drugs Task Force, the International Day for the Elimination of Racial Discrimination took place March 21 in the MSC Atrium. Peer educators honored this day by interacting with students and faculty in order to inform them of ways to help diminish and eventually eliminate racial discrimination. To close off the week, the Human Rights Institute hosted “Hunger: the Politics of Food” as part of their annual conference centered on human rights. Attendees of this event were given the opportunity to visit and learn from various tables with representatives from organizations such as the Community FoodBank of New Jersey and the Lesniak Institute. 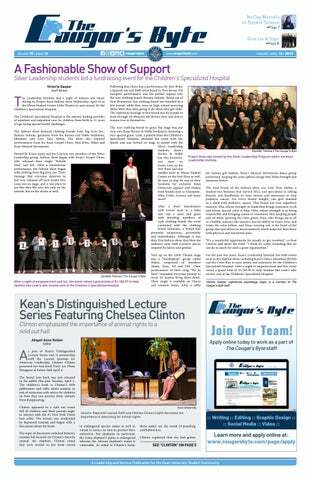 Additionally, the conference featured presentations from celebrity chef and food policy activist Tom Colicchio and Kean alumna Lovely Randle. Evidently, this year's Unity Week was defined by a set of events and activities that supported the common purpose of creating an allied and accepting campus. To learn more about any of the aforementioned organizations and other upcoming events, please visit Cougar Link.